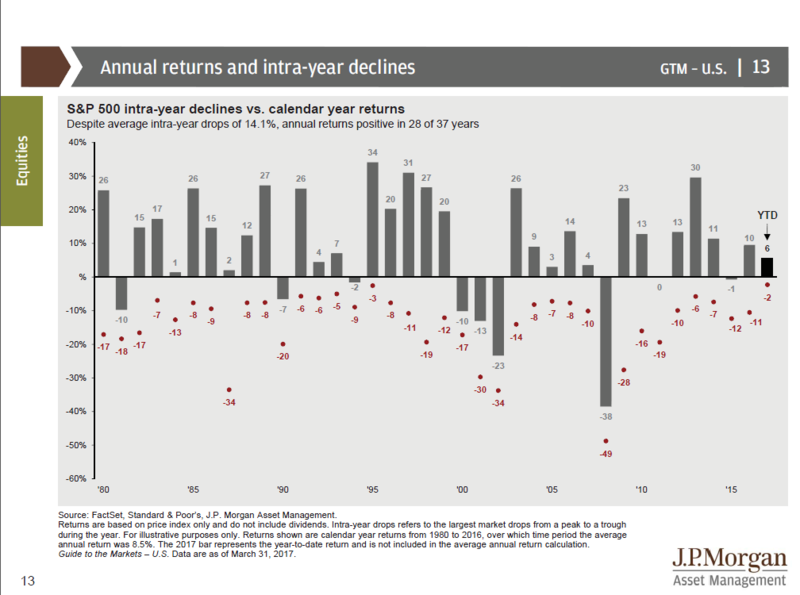 Annual Returns and Intra-year Declines of the S&P500 | Confident. Returns. Annual Returns and Intra-year Declines of the S&P500 – Confident. Returns.